For sixteen years, Russell Dilday was president of Southwestern Baptist Theological Seminary, one of the largest and most well-respected seminaries in the world. In 1994 his presidency ended in the wake of the Southern Baptist Convention's attempts to remake the Baptist world in its own fundamentalist image. Columns: Glimpses of a Seminary Under Assaultchronicles these events by revisiting Dilday's monthly presidential columns at Southwestern. Through Dilday's words it is possible to reimagine a remarkable seminary both at the height of achievement and under the weight of an unjust assault on Baptist principles which continues to this day. While Dilday's columns are revealing, the book includes detailed accounts of events, personalities and dynamics that occurred each year during his tenure as president. 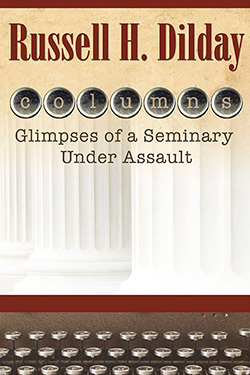 These sketches paint a detailed picture of both the voracity of the assaults and the extent of loss for the seminary community and Texas Baptists. 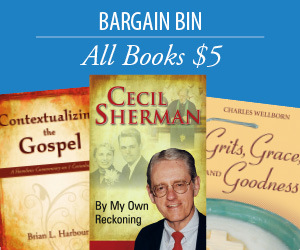 Much of Columns deals with the destructive effects of the fundamentalist trustees appointed by the Southern Baptist Convention. Dilday explains, "Most blindly accepted the fundamentalist claim that the seminaries were bureaucracies of highly paid liberal intellectuals who were leading the denomination away from the Bible. A large number of them had never been on Southwestern's campus, or to any seminary campus for that matter. Most of them doubted that a graduate school could be both scholarly and biblically sound." From financial incompetence to unethical behaviors, Dilday describes the actions of a trustee board that ultimately received the "Horse Collar Award" from the Texas Gridiron Club, who proclaimed the award was given, "for plunging religion to new depths, and for elevating stupidity to new heights."